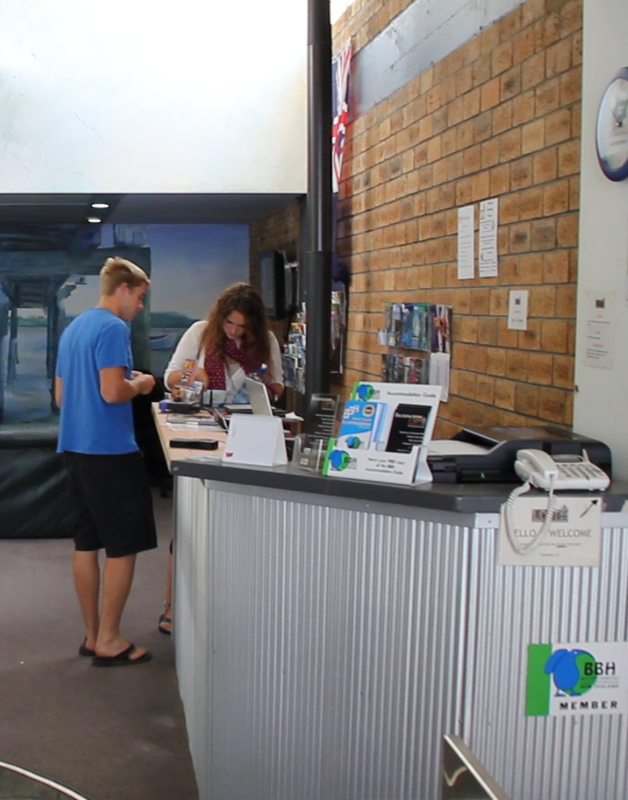 Loft 109 is the number one Budget Backpackers in Tauranga City. With 33 beds to cater for those who prefer a homely atmosphere, with awesome staff, complimented by a location that is second to none, Loft 109 is the ideal backpackers hostel to use as your base for your excursions and activities in Tauranga and around the Bay of Plenty. Whilst seasonal work is not our main interest, we are able to aid in your longer term job seeking adventures and in finding seasonal work in Tauranga. We are also located in the heart of Downtown Tauranga, with The Strand only a 2 minute walk down the mainstreet, Grey St just behind us, Elizabeth St right next to us, and Willow St (And the iSite bus stations) within a 3-5 minute walk. Right below our building is a bakery, convenience store, a turkish and a sushi bar. Across from us are excellent Chinese, Thai or Turkish meals. Wander further down the road to find great cups of coffee, banks, restaurants, shops, arcades and nightlife. So come and stay a while with us, relax in our homely atmosphere and see why our backpackers Hostel Tauranga City centre is number one. We are a small loft styled to feel like a homely apartment, therefore we consist of 33 beds: an 8 bed dorm, 9 bed, 2x 6 bed female dorm rooms, and two double rooms upstairs. Our "Female Only" dorms with either a private balcony or shower in the dorm, are real treats, along with our upstairs free book exchange library and reading balcony overlooking the beautiful Tauranga Harbour where you can relax and enjoy a quiet moment with a FREE Coffee or Tea whilst reading a book, or a little sunbathing. We offer complimentary FREE Wifi in the form of an access voucher once checked in and of course we have FREE Tea & Coffee for hostel guests. See the side bar for more info regarding this. You are now able to get extra Wifi 24hrs 7 days. Along with this we still offer Computers. These are $2 per hour. You can also plug your own Laptop in gain for $2 per hour. Due to the actions of others we now have a Group Policy and are formulating appropriate Terms and Conditions of Occupancy specifically for Group Bookings. School Groups are exempted from this Group Policy, though for all our Standard Terms and Conditions of Occupancy will apply. School and sports groups are welcome. Your host Dave Ward will do everything to make sure you have a great stay at the best backpackers hostel in Tauranga. Background image credit of 100% Pure New Zealand Visual Library. Read more about our backpackers hostel accommodation. This small, central hostel feels like somebody's flat, with an intimate kitchen-lounge and a cute little balcony over Devonport Rd and harbour views. It's bright, with plenty of skylights and a gas fire for colder days. Come and join in the fun at Loft 109. Wifi is given out at check-in ONLY as vouchers. Please be aware that any check-ins after 9:30pm will incur a late check in fee of $10.